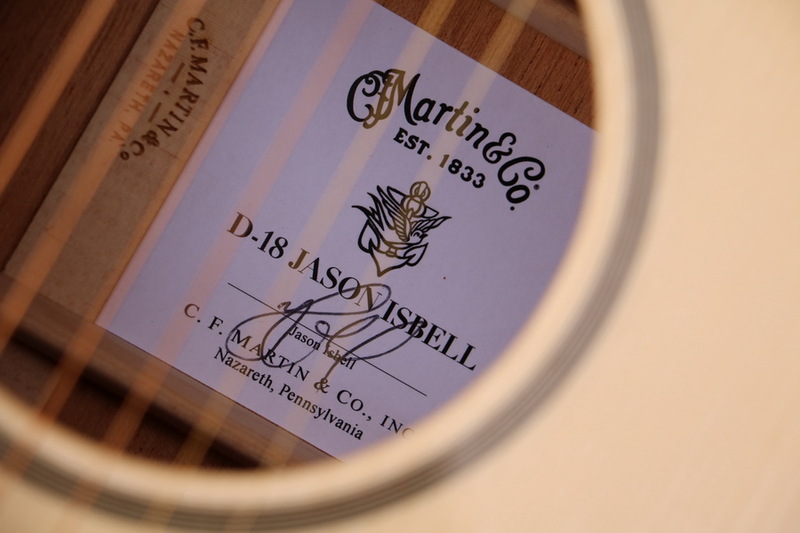 Informationen zum Produkt "Martin - D18 Jason Isbell Dreadnought"
Jason Isbell worked with the Custom Shop at Martin Guitar to design his new Custom Signature Edition D-18 which is closely modeled after Martin's Golden Era series. The model boasts an Adirondack spruce top; mahogany back and sides; and rear-shifted scalloped bracing which produces more natural volume and a clear powerful tone. Similar to Martin's Authentic series guitars, it is constructed using hide glue which, unlike newer synthetic reproductions, dissolves into the grain of the wood and creates more resonance throughout the instrument. Isbell chose a thin finish and left off the pickguard - all design details that have one common goal - to make it loud. Mission Accomplished! Isbell also added a personal touch by including a custom inlay of one of his tattoos at the twelfth fret.